Directions:Closest Major Intersection: Shadow Creek Pkwy. & FM 521 Rd. From Hwy 288 Frontage Rd. to Shadow Creek Pkwy. to Trinity Bay Dr. to Shadowmere Dr. to Harbor Pass Dr to Indigo Sands Dr. to Harbor Chase Dr. Destination will be on the left. SchoolsClick map icons below to view information for schools near 2304 Harbor Chase Dr Pearland, TX 77584. Listing provided courtesy of Opendoor Texas Brokerage,LLC. Home for sale at 2304 Harbor Chase Dr Pearland, TX 77584. Description: The home at 2304 Harbor Chase Dr Pearland, TX 77584 with the MLS Number 61098791 is currently listed at $308,000 and has been on the Pearland market for 104 days. 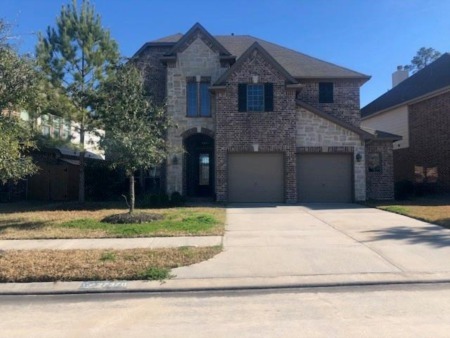 You are viewing the MLS property details of the home for sale at 2304 Harbor Chase Dr Pearland, TX 77584, which is located in the Shadow Creek Ranch subdivision, includes 4 bedrooms and 4 bathrooms, and has approximately 3287 sq.ft. of living area.